Home › Events › EVENT: WonkComms 1 year on: 2 steps forward 1 step back? EVENT: WonkComms 1 year on: 2 steps forward 1 step back? 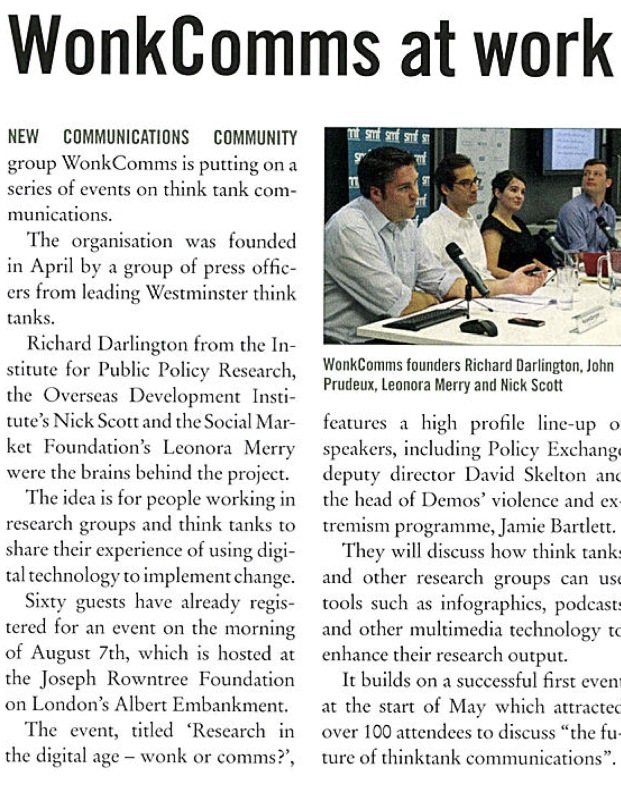 A year ago, WonkComms was launched at an event in London. The blog, LinkedIn group, rotating Twitter account and Pinterest board soon followed. The aim was to bring people together to think about the future of think tank and research communications, and help them move towards that future. More than a dozen events later… and the rest in history. So one year on, WonkComms is now a thriving community but becoming an increasingly valued profession. In the US, UK and globally, there have been some amazing and impactful policy communications packages released. A spirit of collaboration, mixed with a little friendly competition, is leading many think tanks to think again about how they communicate and how to do it better than anyone else. But it isn’t time to rest on our laurels. The think tank world isn’t the only one making a success of new and innovative forms of communication to reach new audiences and make a difference. From the media to charities and campaigning organisations, there are many others who are shouting very loud and hard, making it difficult for think tanks to be heard. 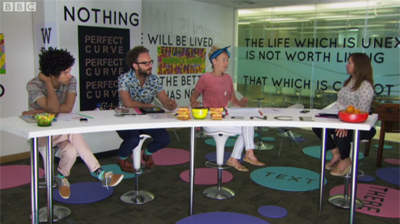 Is it time to, like totally, think out-of-the-box, you guys? This event will review the last year, and also look forward to the challenges ahead. We’ll start with a ’show and tell’ on key trends of the past year from WonkCommers who’ve been producing and delivering communications daily. This will be followed by a open discussion on the best communications from outside our WonkComms world, including presentations from experts working in the media, charities and on campaigns.